A positive push for LGBT rights will, believe it or not, be part of Super Bowl week in New Orleans. Super Bowl XLVII is being billed as the Harbaugh Bowl: the battle between Jim and John Harbaugh, head coaches, respectively, of the San Francisco 49ers and the Baltimore Ravens. It will also be played by two NFL teams connected directly and indirectly to the struggles for LGBT rights. Read that last sentence again, and appreciate for a moment how far fighters for LGBT equality have traveled. 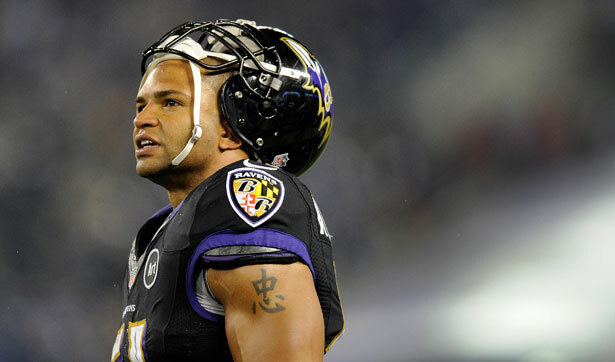 As for the Ravens, they are the team of linebacker Brendon Ayanbadejo, who is part of a new wave of outspoken athletes for LGBT rights. Ayanbadejo aided the successful referendum for marriage equality in the state of Maryland in November while braving disagreements from teammates, criticism on sports radio and even a Maryland state delegate requesting that team chief executive Steve Biscotti “take the necessary action, as a National Football League owner, to inhibit such expressions from your employees.” But the Ravens took no such action and Ayanbadejo hasn’t stopped expressing himself, and won’t stop this coming week. I’ll never forget three years ago, I was at the Super Bowl playing for the Saints. I’d endorsed the National Equality March (the previous fall) and at that same Super Bowl, Tim Tebow was doing his ad for Focus on the Family (an organization that promotes “gay reparative therapy"). I remember my support for marriage equality made a little bit of noise, because there just weren’t many guys in our business talking about this sort of thing. I received a few media inquiries, and on Super Bowl media day I walked up and down radio row prepared to speak out on this and only a few folks really knew how to talk to me about it. The rest would only ask me what I thought about Tim’s ad but little else. Fast forward three years and I feel like we’re in a different world. People are asking all the right questions and I’m so glad Brendon is going to be there with some answers. It’s just a new world. Ayanbadejo has to know that using the Super Bowl to do something other than play the game and smile for the cameras carries a great deal of risk. He seems to be not only rising to the risk but taking great joy in the journey. The linebacker says that his dream is to win the Super Bowl and then dance with Ellen DeGeneres on her talk show. Once again, read that last sentence again. In just three years, as Scott Fujita said, it’s a new world. Whether the NFL, CBS or anyone else likes it or not, this new world is now jostling to be heard in the land of make-believe that is Super Bowl week. Even in the NFL, clearly, it gets better. In pro football, there's a lot that can get better. Read Dave Zirin's take on the NFL and MLK.